Decided to give it a try at that point, still "Service not running or scrambled"
Here is the procedure to extract and change the system id. I have no experience with this so no liability accepted. Although my experience with Bin2TFD wasn't as stellar as I hoped - TPR-5000 firmware update accepted file produced by Bin2TFD then produced message like "Failed to read/write file"
I have an a 7160 firmware that I ported to the 5000. Also tried the 7100+ without much success, but that may be IceTV related. In my case for some reason the front display is scrambled. As I only use the 5000 as a backup it is not a big worry. Otherwise it seems to work OK. Could possibly be fixed by resetting to factory settings. You can download repackaged 7100+ firmware from here and 7160 firmware form here. One advantage of these firmware are that they support quad recording and include TAP support. Currently considering a cheap Wintal STB18HD = Radio Parts house brand ? - any feedback on this ? Why don't you try and purchase a new mainboard, even a genuine 7160 board. There is a guy on the forum who bought all their spares when they quit the country. My mother got a Panasonic PVR a few years ago. It was crap. So awkward to use. I don't think it was significantly worse than many others on the market at the time. That was why Topfield was so successful - it was easy to use. A lot of people looking to replace Topfields are looking at Beyonwiz. The Beyonwiz is the obvious choice. There is bit of a learning curve, but once you get the hang of it you get a good experience. If you use IceTV it works much, much better on the Beyonwiz. Yeah,we have had a few in the extended Family over the years,mine was the first model,2008 DMR-500BD but MPEG2 unfortunately.It is still going and comes in handy to transfer FTA Rec. to BD or DVD. I agree it was clunky to use but super reliable,no bugs,it just worked. I don't see the point in wasting time and money on the MPEG 2 Toppies,time to move on,you can get a MPEG4 model that does HD for next to nothing and worth spending time/money to get it going. 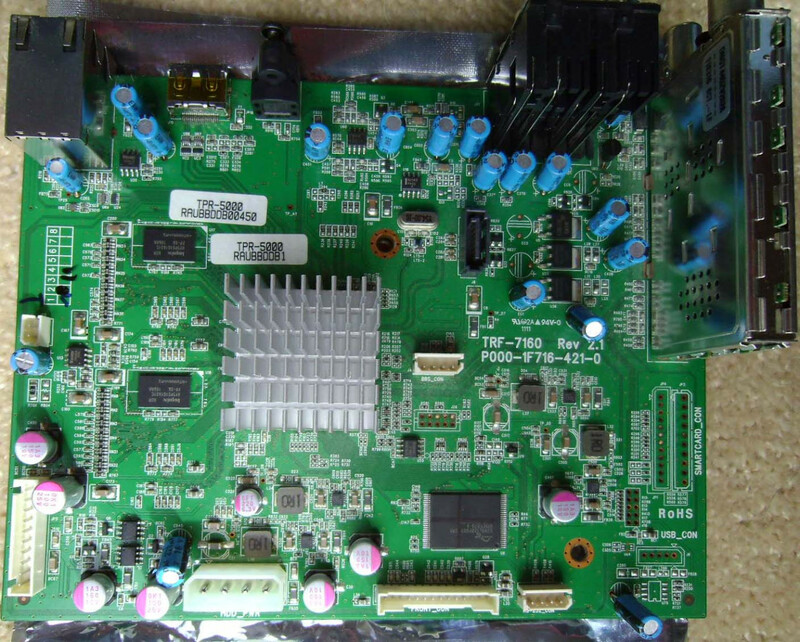 The TPR-5000 is a MPEG4/MPEG2 PVR - it uses the same main board as the 7160. Aside from the case, the main difference between the two is one is branded Toppro and the other Branded Topfield, and on supports quad-recording and TAPs and the other does not. I prefer the case on the 5000 to that on the 7160. Ok,i just saw the 5000 and JTC,i was wondering what the 7160 MB was doing in that case.!!. My mother got a Panasonic PVR a few years ago. It was crap. So awkward to use. My father-in-law had a 7160 which I had recommended and which he used for years. Then one day he rang me to come around and set up the new Panasonic PVR he had bought because "the Topfield didn't work anymore" (Grrr, why didn't he ask me about any of this first!). The new Panasonic was an absolute pain to use but I set it up and showed him the ropes. I found the only problem with the 7160 was a broken remote. Someone had seemingly stood on it and broken a capacitor off internally so I soldered it back on and it worked fine. I told him if he gets sick of his Panasonic to call me and I will put the toppy back. He lasted about a month before calling me.